Over the last one hundred years, we have been more than careless, and certainly more selfish, in the way in which we have elected to change type in working and sporting breeds of dog so that cosmetic appeal has been rated higher than utility. By utility I mean the ability of a breed to perform its designed task, ahead of any flashy appearance or 'adult-puppy' appeal, for unthinking owners. Sighthounds without the physique to run are soon spotted but gundogs unable to withstand the elements are less easily identified, especially now that most are just pets with no working outlet or test. Sportsmen need gundogs that are equipped physically to function in all weathers and apart from a sound anatomy for this, really suffer if they don't possess a weatherproof coat. From extremes of wildfowling to simple picking-up, a gundog breed requires a protective jacket. But I regularly see gundogs with poor coats, coats that would punish them on a harsh winter dawn, with half a gale blowing and the rain coming down in stair-rod cascades. The worst ones I have seen have been in that handsome breed - the Flat-coat. 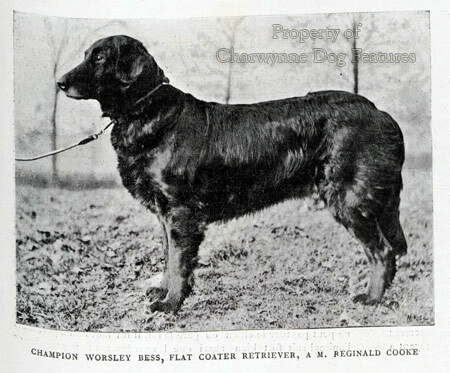 In 1878, the black wavy-coated retriever had to have a coat that was set close, wavy and glossy; by 1938 the same breed, now called the Flat-coated Retriever had to have a coat that was as dense and flat as possible, and now expected to be of 'fine to medium texture', yet again with no mention of any need to be waterproof - in a retriever! At the start of the 20th century this breed was thicker-coated, longer-backed and less setter-like. Do any of these things matter? Are today's gundog owners so uninformed that they simply don't know the field requirements in their breed? 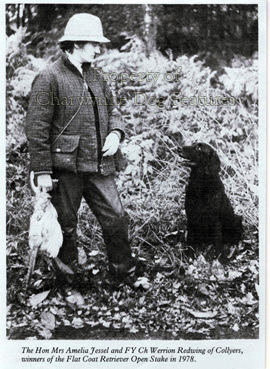 At the start of the 20th century, 'Wildfowler', a much respected gundog authority, spelled out the requirements for a successful wildfowling dog: "...the dog has to learn so many more things than other breeds of dogs. He must stay ready for flighting, remain still in a punt, he must never open under the strongest temptation, never jump up, never be excited, obey signs implicitly, hunt when told and keep to heel when ordered...be tender-mouthed, very keen-nosed, strong-constitutioned, plucky, swim for ever, and stand hard winters with equanimity." The ones I see today just could not do such tasks. 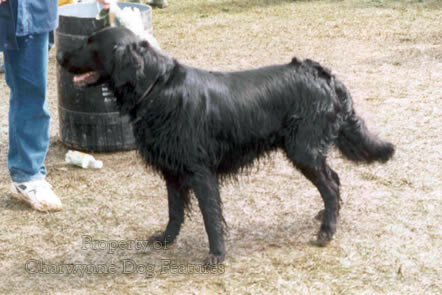 The Flat-coated Retriever I have long admired and when I was younger mourned their absence from the shooting field. It has been good to see a small renaissance of their working qualities. They were once every gamekeeper's first choice. Combining handsomeness with intelligence, they have never been spoiled by over-popularity. 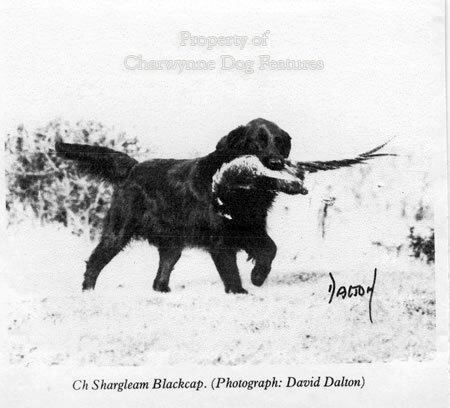 Writing in the last century, 'Idstone', who was a gundog authority in his day, described one with these words: "He was as black as a raven - blue-black - not a very large dog, but wide over the back and loins, with limbs like a lion, and a thick, glossy, long, silky coat which parted down the back, a long sagacious head, full of character, and clean as a setter's in the manner of coat. His ears were small, and so close to his head that they were hidden in his feathered neck. His eyewas neither more nor less than a human one. I never saw a bad expression in it." An enchanting description, richly deserved. James Wentworth-Day, a demanding dog-man if there ever was one, referred to a Flat-coat in these words: "But Black Bess...was my father's dog, a magnificent flat-coat who shone in the sun like a raven's wing, who walked the grass with the gait of a queen. She was all good looks, good breeding and good heart." These words came back to me some years ago, firstly when watching the late Pat Chapman's 'Shargleam Blackcap' win Best-in-Show at Crufts, and again when seeing FTCh 'Werrion Redwing of Collyers' at work in the field. Here were two happy handsome dogs in contrasting circumstances, really 'selling' their breed. They would both have made ideal wild-fowling companions. In her book on the breed, Nancy Laughton writes: “One sportsman maintains that the chief stumbling block in breeding towards perfection of working stock in gundogs has been the obsession for the ‘sacred cow’ of ‘dual purpose’ by a majority of breeders. 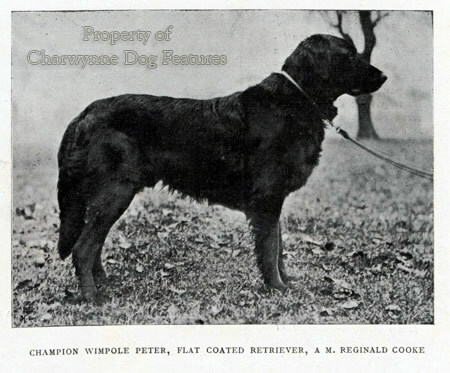 I am forced to agree with this now and believe that unless penal field faults are eliminated in Flat-coats and breeding is directed towards biddability, less excitability and the preservation of good temperament, we will lose that working reliability in the field for which the Flat-coat was renowned in the past.” The early Labradors certainly benefited from not featuring either at field trials or the show bench, becoming the sportsman’s dog rather than the fancier’s or the top trainer’s dog. We all admire a handsome dog; we all admire a field trial winner’s prowess; but most sportsmen require a dog with fundamental skills and a sound physique. To be called a retriever, every show dog should be physically capable of acting as one in the field – even if not required to do so. The KC’s ‘fitness for function’ campaign, now being strongly promoted, will perhaps achieve progress on this issue. I was very impressed by full champion Deep River Walk of Downstream when winning Group 3 at the National Gundog Show a decade or so ago. 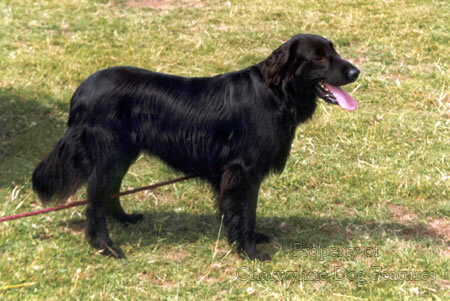 The breed owes a great deal to early pedigree breeders like the Shirley family of Ettington Park, H Reginald Cooke (who ‘collected’ Flat-coats from gamekeepers at an unprecedented rate), the Phizaklea family and Dr Nancy Laughton with her ‘Claverdon’ kennel. They have left us with a handsome but what must always be a utility breed. For me, in looks, companionability and sheer willingness, this breed is the supreme retriever. I would like to see it bred once again for utility, renamed as ‘The English Retriever’ and placed at the head of our rightfully-revered retriever breeds – as our national breed. I sincerely believe it has the qualities and the history to justify such a distinctive title. This breed has never been spoiled by over-popularity, has a healthier genotype than some gundog breeds and has every right to be regarded as solely born here, developed here and fashioned here. We are not very consistent over claiming our native breeds; we have the English Setter, we have an English spaniel breed. Unlike the Germans we do not claim our Pointer by name. We credit an overseas place in our Labrador’s title, but elect to describe our other retrievers by coat texture or colour. 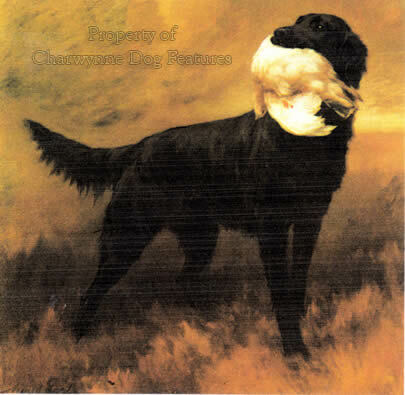 But retrievers are a British invention and the Flat-coat is the soul of their development here; let’s celebrate that.